Ex-Google CEO Eric Schmidt recently commented that he believes there will be an Internet schism between the U.S and China in the next ten years. In 2001, Eric Schmidt was named CEO of the then start-up that would grow into the global Internet behemoth that is Google. After seventeen years acting as a moderator between the two balanced forces that are the co-founders Larry Page and Sergey Brin, Schmidt had to leave his post last January. During all these years, Schmidt has seen Google grow and with it, and in part thanks to it, the Internet as a whole. 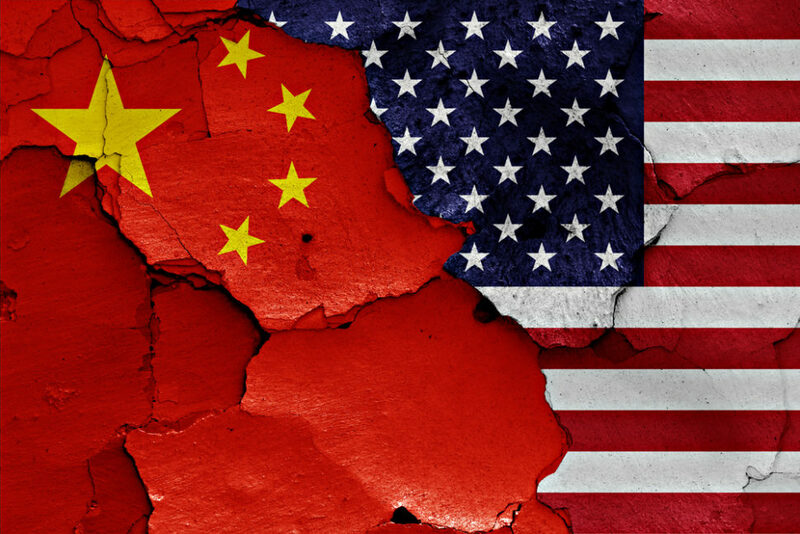 Now, Schmidt seems to be having serious concerns about the way the Internet is heading, because of competition between China and the U.S.
Will the US-China Rivalry Cause an Internet Schism? When asked about the future of the Internet, Eric Schmidt said he expects it to bifurcate within ten years. The former Google chief was attending a tech event held last Wednesday, Sept. 19, by the investment firm Village Global VC in San Francisco (CA). Schmidt expressed his worries that increasing Chinese web control will cause the Internet to split in two parts by 2028, one led by the U.S. and the other by China. Elsewhere in his response, Schmidt acknowledged the Chinese ability to harness the web’s power for its economic progress, but he also worries that with great Internet power comes great censorship. “I think you’re going to see fantastic leadership in products and services from China. There’s a real danger that along with those products and services comes a different leadership regime from government, with censorship, controls, etc.,” said Schmidt. Then he cited China’s Belt and Road Initiative, aka the 21st-century silk road (BRI), which involves dozens of countries, and “it’s perfectly possible those countries will begin to take on the infrastructure that China has with some loss of freedom”. The censorship that concerns Schmidt is already underway and is only getting stronger, with projects like the so-called Great Firewall of China, which blocks American major internet platforms, such as Google, Facebook, and YouTube. Google has been secretly working on the controversial “Project Dragonfly”, censored search engine tailored for China, which draws the ire of experts and Google employees. Baidu’s search engine serves as the Chinese version of Google, and it appears in the top 10 list of the most popular websites in the world. Tech giants like ZTE and Huawei are already banned in the U.S. market because a House Intelligence Committee report called the two companies a threat to the U.S. national security. This isn’t Eric Schmidt’s first provocative predictions about the internet. Three years ago, he said the “internet will disappear”. Do you think an Internet schism is a likely possibility?